I installed WordPress multisite (the sites runs in the root folder) and have created a site as a subdirectory. The web server used is Nginx. I now want to map the main domain example.com to the parent site, and subdomain.example.com to the child site, which is installed in a subdirectory. 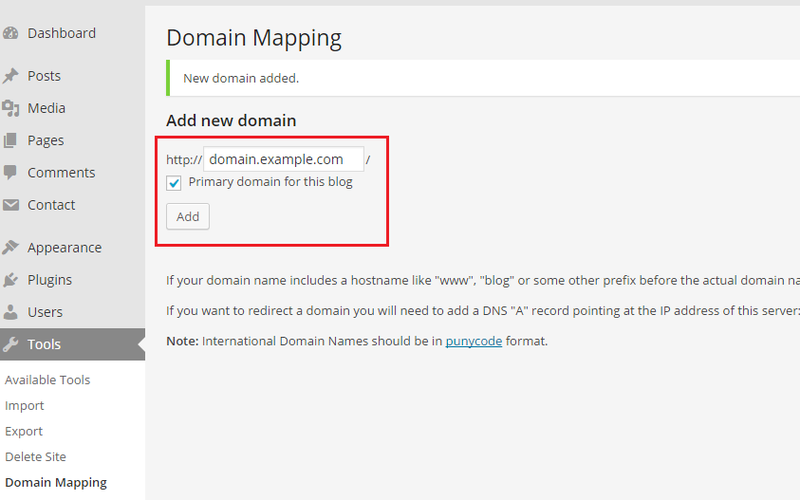 I tried using WordPress MU domain mapping, but I am not sure if it works for me. I am unable to test using my computer's hosts file. The question is: Is it possible to get domain.example.com to point to mysite.com/subdirectory in a multisite network? UPDATE: When I try to use WordPress MU domain mapping, and add an entry for the child site under Tools > Domain Mapping, I get a message 'New domain added'. But the new entry is not listed anywhere. What could be happening? I figured out what the problem was! Whenever I went to Settings > Domain Mapping under the Network Admin panel, I always got a message: "Domain mapping database table created." In fact, that database table was never created. The database user never had CREATE privileges. Once I granted CREATE to the user, I was able to get subdomain.example.com to point to example.com/subdirectory.